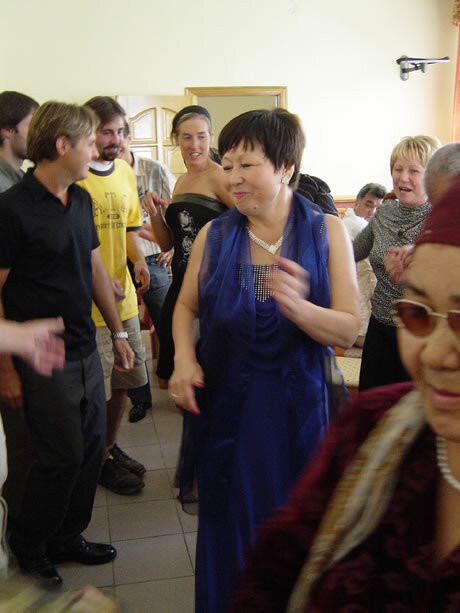 The Birthday includes a dombra player, violin and several singers. And yes, a DJ for plenty of dancing. The older lady in the red (on the right) grabbed me for a few dances. She even punched me in the stomach a few times. My host family captured it on video and they love to show it to the guest.